The first official meeting of our project was held in Bucharest, Romania 15th-16th of September, 2016. SIVECO S.A. Romania, project coordinator, was the host of the meeting which gathered the FLOOD-serv consortium in the same city. Also joining in, was Ms. Hinano Spreafico, the European Commission’s officer responsible for the project. The first day of the general assembly called for partner introductions and an overview of the project. Work Package presentations were staged, beginning with WP1 by SIVECO S.A. Romania. IP Tulcea, CELLENT and GOV2U shared WP2, WP3 and WP6 descriptions respectively as Work Package leaders. All presentations engaged partners in fruitful discussions on knowledge sharing and exchange of ideas. Introductions of the FLOOD-serv project Work Packages continued the second day with SIVECO S.A. Romania updating members on the specifications of WP4 & WP7 and DDNI of WP5. Project partners from ANO, ANSWARE and CELLENT expanded the discussion to a technical level by sharing the existing components that will be used for the FLOOD-serv platform. 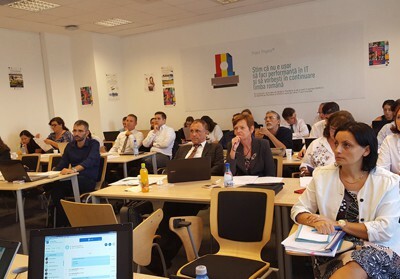 During the two day kick off meeting, the pilots for Romania, Spain, Slovakia, Portugal and Italy were introduced to the consortium by DDNI, Ayuntamiento de Bilbao, Exdwarf, CMVNF and Commune di Genova respectively; while strategic planning for the upcoming deliverables was designed. Rounding up, Ms. Spreafico presented the most important aspects all partners will need to respect during the project implementation; focusing on the administrative procedures, reporting and financial statements. These guidelines are project specific to the H2020 projects funded by REA – Research Executive Agency from European Commission. Although project communication is and will be going strong, the consortium plans to gather once again in Tulcea, Romania during the Spring of 2017 to present latest developments.